Combine flour and baking powder. Cut in butter, with pastry blender or 2 knives, until about the size of small peas (food processor may be used for this step). Stir in ham and cheeses. Make a well in centre of flour mixture and add milk. Stir with fork just until flour is moistened. Turn dough onto lightly floured board and knead gently 8-10 times. Pat or roll dough to ½-inch (2 cm) thickness. Cut dough with 2-inch (5 cm) round cookie cutter. Place on parchment paper-lined baking sheet (or ungreased baking sheet). 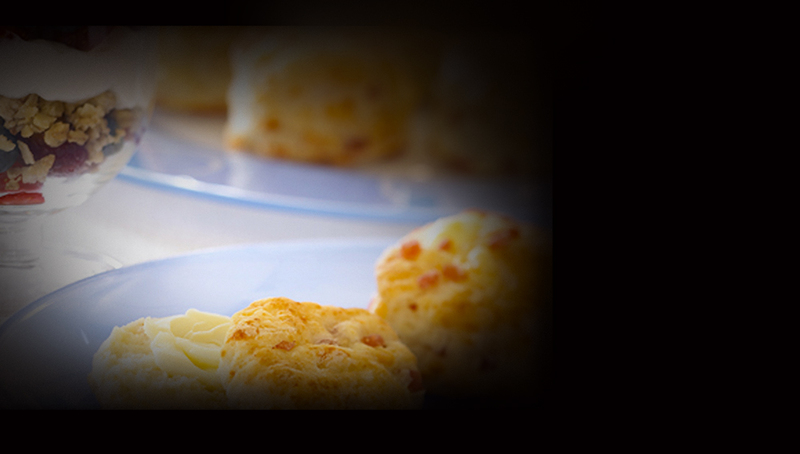 Sprinkle tops of biscuits with additional shredded Smoked Cheddar cheese for a crunchy golden crust, if desired. Serve warm, with butter, if desired. Biscuits may be frozen and reheated.